Just popping in to say Happy 4th of July! Independence Day is my favorite holiday. 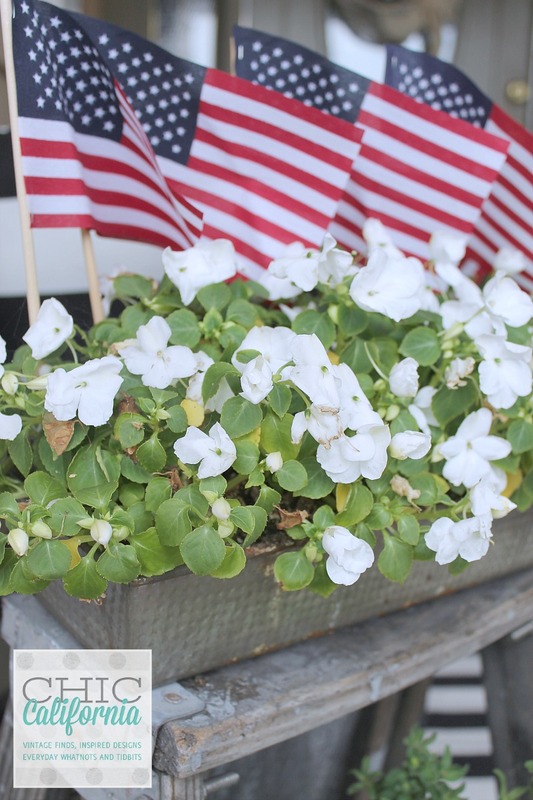 The day is reserved for parades, picnics, bbq’s and fireworks! No presents to buy and wrap, no major commitments to attend to. The only requirement is summertime fun! 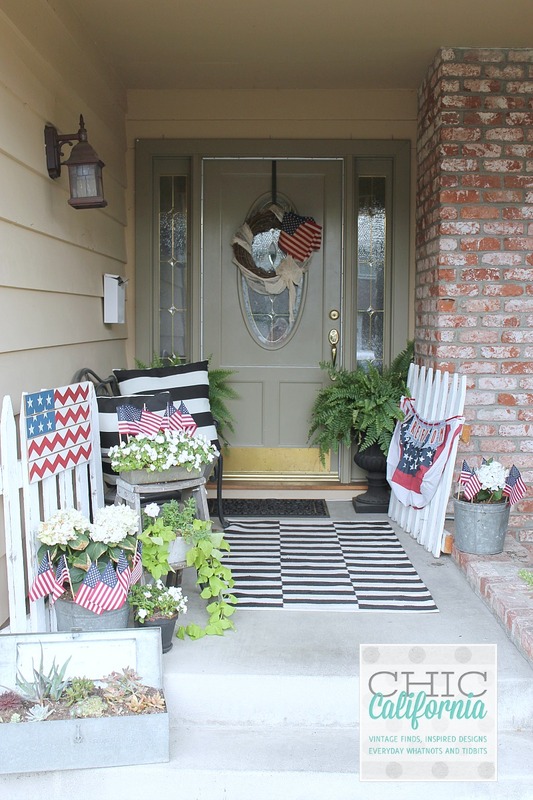 I thought I would give you a quick tour of my 4th of July front porch to show you the few decorations I did manage to get out for the Holiday. Let me show you all something kind of embarrassing. This is my front porch now. 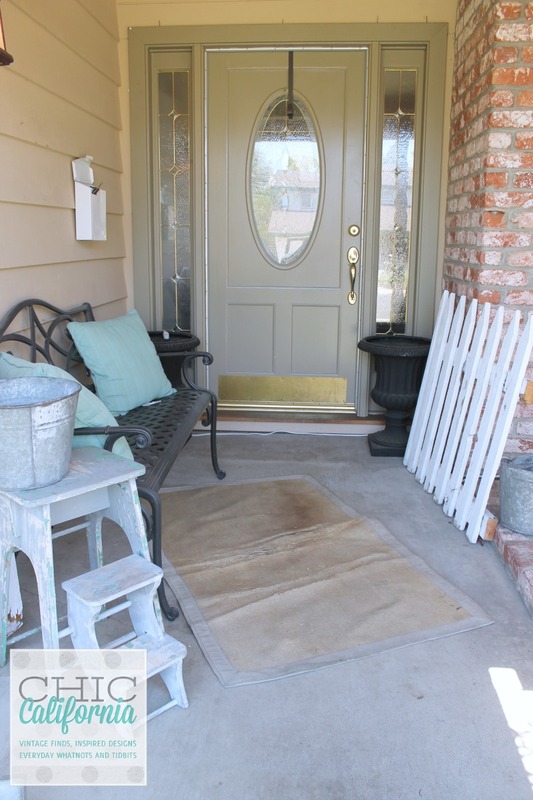 The first thing I did was pick a color scheme for my porch. I was inspired by the classic traditional colors of black and white with a pop of green. I started freshening up this space by planting some flowers in my vintage buckets and containers. 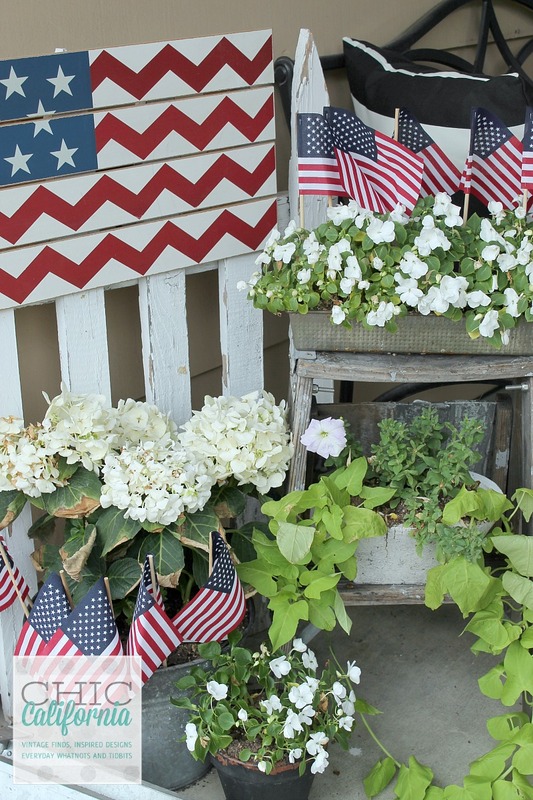 Impatiens, petunias, potato vine for some extra green and white hydrangeas set the front porch theme. I usually have some sort of topiary in my black urns at the front door. 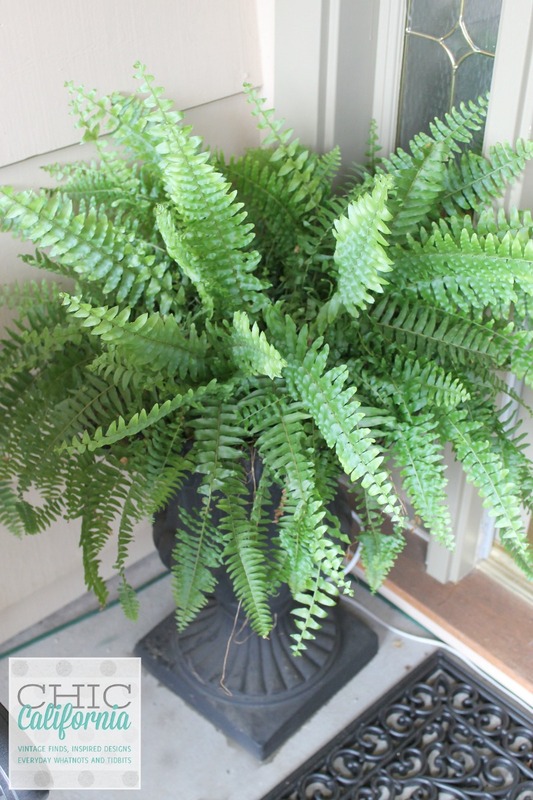 But this year, I went with good ol’ Boston Ferns. Classic, inexpensive and easy to maintain. I found these black and white pillows at Homegoods. And I’m going to say it was a miracle! I searched 3 or 4 stores for black and white pillows and I was just about to give up. I walked into Homegoods and nearly missed these. But I caught them with the corner of my eye as I was walking out the door. I had an angels singing moment! 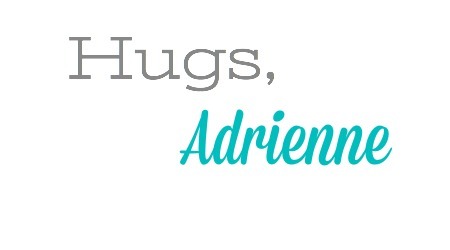 I swooped them up like a crazy Homegoods shopper and held them tight until the purchase was made. 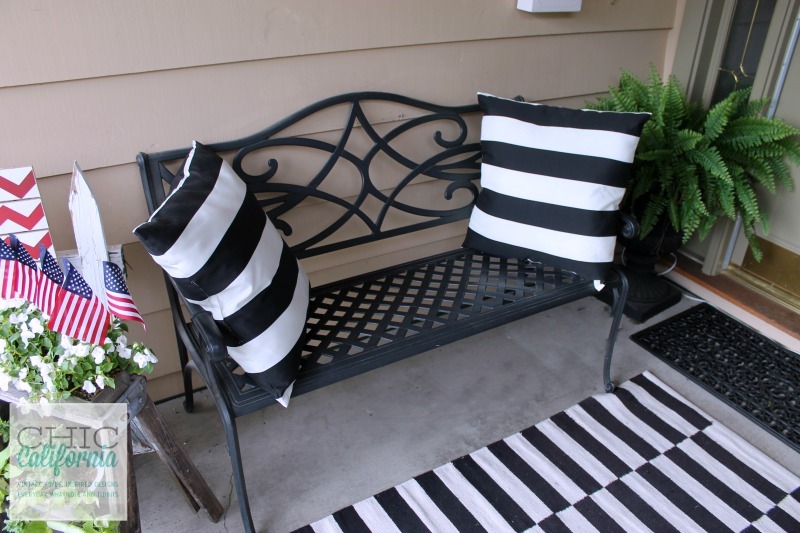 They are indoor-outdoor pillows so they are perfect for the front porch. 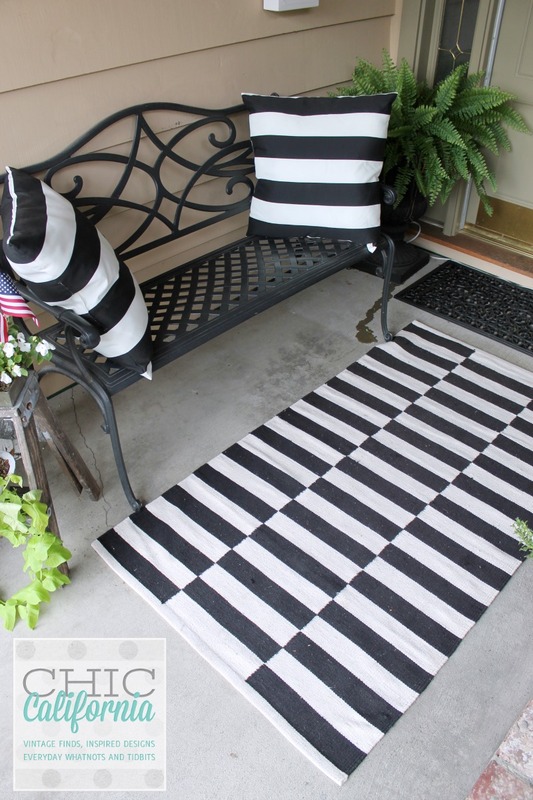 I was also able to upgrade the rug on the porch with a World Market rug. It is not an outdoor rug but my front porch is covered and I sprayed it with a waterproofing spray to help protect it from dirty shoes. 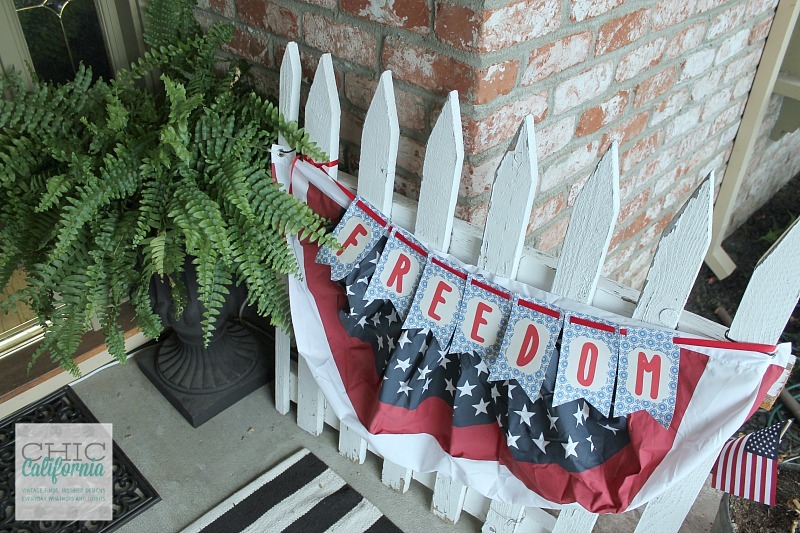 Then I layered in my 4th of July decorations. 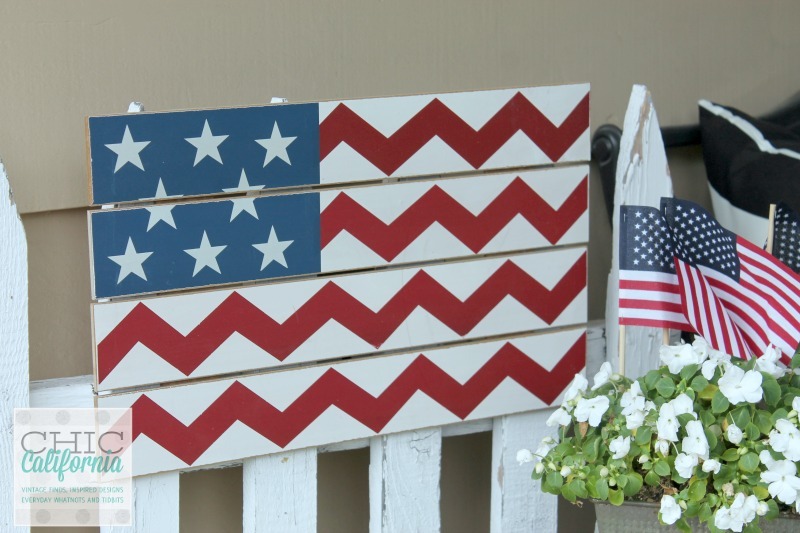 I bought this Chevron flag last year from Hobby Lobby. It has a stand like a picture frame so I was able to put it over the rung of my picket fence. Every year we go to a local 4th of July Parade and I come home with lots of little flags. I have amassed quite a collection that I use for decorating all over my house. 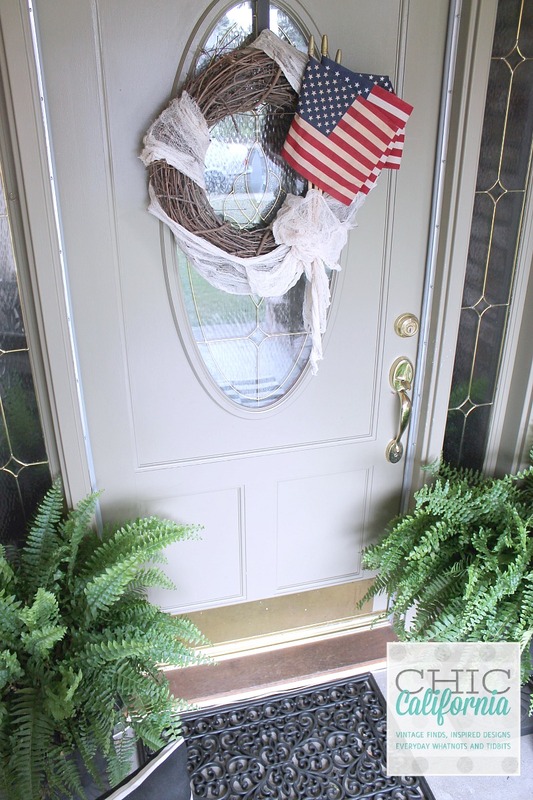 I look forward to getting my 4th of July wreath out every year. I think this is my 3rd year using it. I saw a picture on Pinterest that I was inspired by and I made my own version. 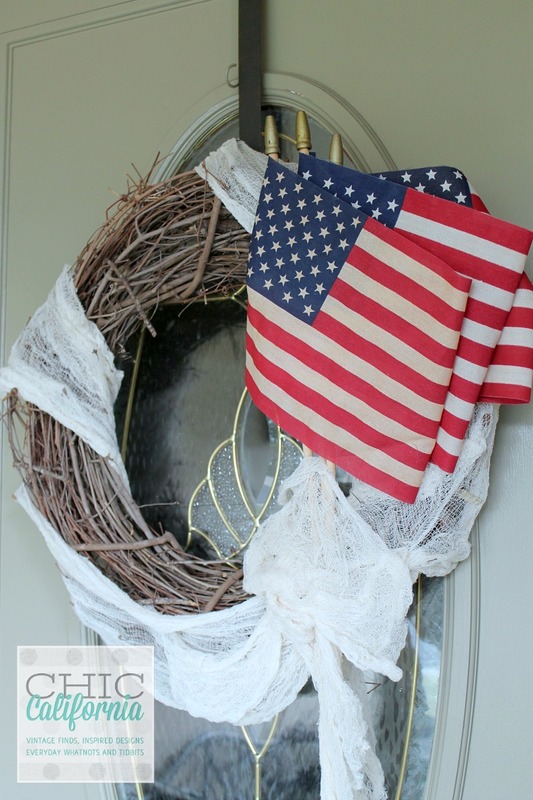 I used flags and cheesecloth that I aged in tea. I pretty much used the same technique that I used for antiquing my books. You can see that tutorial here. 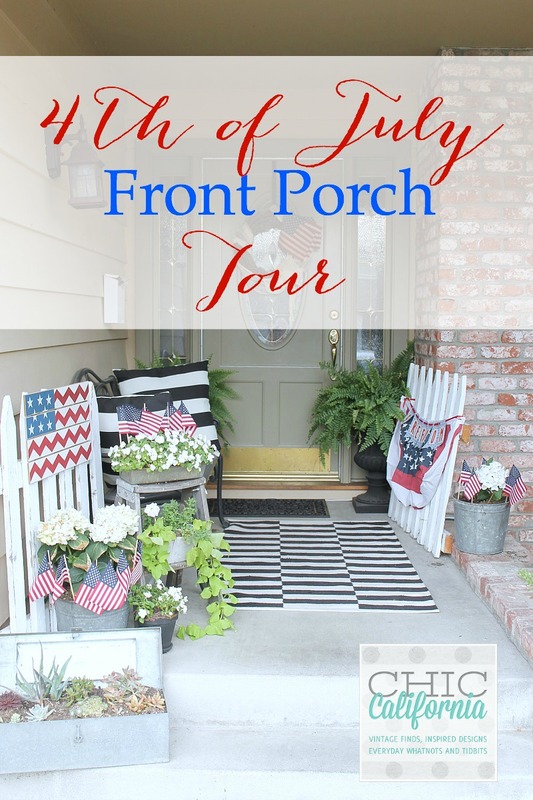 After the 4th, I’ll be able to take down my red, white and blue decor and still have a fresh summer porch. So cute! I love fourth of july!